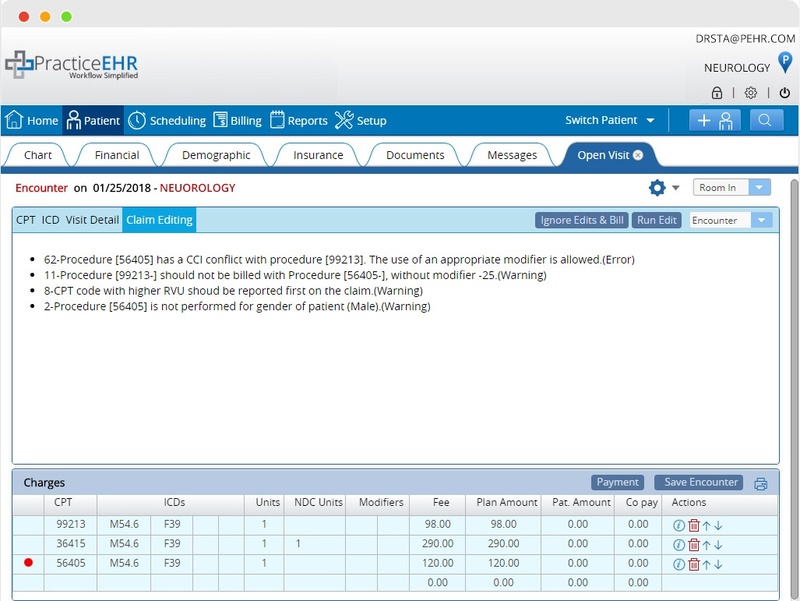 Practice EHR provides extensive claim scrubbing capabilities to ensure claim accuracy; resulting in quick payments and minimal denials. This is essential for solo and small practices as it optimizes financial performance of the practice while minimizing the resource burden for denial management and follow-ups. Submits clean claim every time to shorten the time to receive payments from the insurers. Automatically scrub claims and clearing indicates warnings and errors.